Welcome to the HR blog. 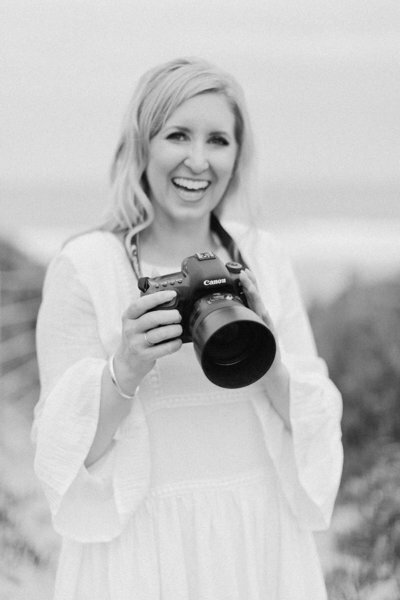 I'm a Sydney photographer, podcaster and brand strategist from the Northern Beaches and I'm so glad you're here! Feel free to grab yourself a peppermint tea - my drink of choice! - and enjoy viewing my latest work, browsing our brand and portrait resources, and getting a little peek into my life! Enter your details to join my VIP list and go into the monthly draw to win a $300 portrait session. I know I say this about all my personal branding photography clients, but seriously, when Rachel’s enquiry about a session came through I did a little happy dance and squealed with excitement. Rachel’s a genuine soul who loves her daily coffee, can count to 10 in Japanese and is a real go-getter. She currently works in a high-flying corporate role for a fruit and vegetable company, has an Arbonne cosmetics business on the side, as well as a fashion blog. When you meet Rachel you get a sense that this girl is unstoppable and can achieve anything she puts her mind to! Rachel got in touch after I posted photos from a recent session with Ray Balko of Bossylicious – another favourite session of mine! – and we got to discussing what she would like her photos, to be used in her new success coaching business, to communicate. For Rachel, it’s important that her potential clients will be greeted with a friendly face, someone who’s confident and graceful, as well as down-to-earth and relatable. Her goal was that she wants her clients to get a sense that working with her is loads o’ fun and they’ll (of course) hit their big, starry goals along the way. Rachel was drawn to bright and pretty colours (woohoo! ), so I knew that shooting in some of London’s candy coloured mews were a great option to consider. We spoke about Notting Hill, Knightsbridge and South Kensington as potential locations, and after our planning call I spent half a day location scouting to find the perfect place for us to hold the session. I was so excited to find a gorgeous cafe in South Kensington called Brown and Rosie – as soon as I saw it I thought it’s French cafe vibes would be a *perfect* fit for Rachel. It was also only a 5 minute walk from some colourful mews (check and check! ), so I sent Rachel some photos asking what she thought. She loved the locations, so we confirmed this as her shoot location right away. Leading up to Rachel’s session, the weather was looking a bit dicey and right up until two days before, the forecast was for rain. We ummed and ahhed about changing the session date (I always allow rescheduling if the forecast is rain! ), but luckily two days before our session the forecast finally changed and there was no rain due at all. Hooray! On the day of the session Rachel, who’s from Tunbridge Wells, came to my house to have her hair and makeup done by the very talented Bella Anselmo. Hair and makeup finished up early, so we headed in to South Kensington earlier than planned. We walked past the cafe when we arrived and someone was sitting in the seat I’d eyed off as ideal for the session, so we kept walking by and went to the mews first. We were so lucky we did, because shortly after we arrived back at the cafe, it started to rain! I couldn’t believe it. So much for an accurate forecast – I even made sure I used BBC weather and looked at the forecast down to the hour rather than the iPhone weather. Sometimes these things are out of your control. Ha! I had such a beautiful day getting to know Rachel, and I was so pleased with how her portraits turned out. Here’s a few of her final photos, plus some of my favourites thrown in for good measure! I hope you enjoy looking through Rachel’s portraits. Scroll all the way to the end to find out more about working with me for your own personal branding photography session! This cafe was just gorgeous, and is in a pretty restaurant plaza just near South Kensington station. The staff were friendly, the decor was stunning, and we couldn’t believe our luck with the gorgeous green coffee cup – isn’t it just beautiful?! 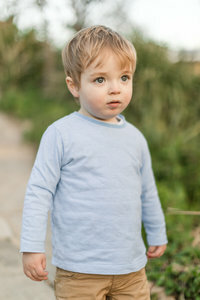 Location really contributes to the atmosphere of your portraits and helps to visually tell us a story about who you are, so it’s important to find a place that has good natural light, a style that resonates with you as a person and meets the level of relaxation or formality that is in line with your brand. That’s why I factor in location scouting into my photography packages. Not only is it great for me to see the place in advance so I can dream up ideas about how to approach the shoot, understand the light and make sure it’s good, and it also means that come the day of your session we know exactly where to go – and while sometimes a little improvisation can be fun – we don’t have to spend precious shoot minutes searching for locations on the spot. I love this location because of the beautiful colours! Rachel is a pink girl (as am I, obviously!) and while I love shooting in all different locations for variety in my work, I can’t deny that the colours in this little mews street was like music to my eyes! Isn’t Rachel just gorgeous?! What do you think of her portraits? Rachel’s website will be up and running soon, and in the meantime you can follow her on Instagram. Are you interested in booking a personal branding photography session in Sydney*? I would LOVE the opportunity to get to know you and hear all about your business! Learn more here or send me a message to learn about my packages and pricing here!